Kids find robots fascinating. 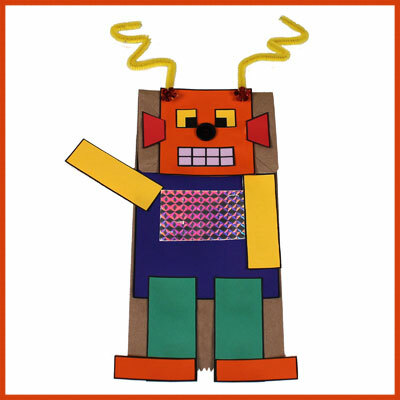 Creating a robot is a bit like creating your own toy; it lets children dream and use their imagination. Creating a giant robot is best done as a team activity. It’s better to work as a team to create a giant robot because one child alone may be overwhelmed by the size of this project. In addition, working as a team stimulates everyone’s creativity. The giant robot that you see here was created as part of a special project for Canada’s Museum of Science and Technology in Ottawa. 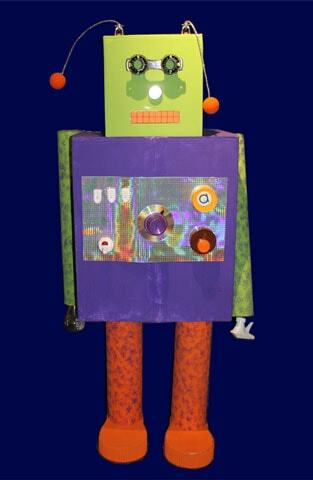 Encourage the kids to come up with their own interpretation of what a robot should look like. 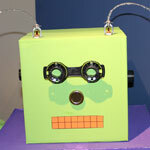 There is no wrong answer : all robots built by the children will be beautiful!